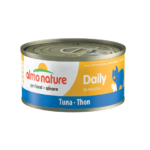 Daily are red tuna meat meals, a high source of energy. Thin shredded cuts preserved in their own cooking broth. 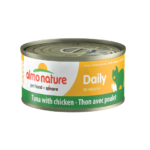 For a balance nutrition, rotate different protein sources with Complete and or dry food.